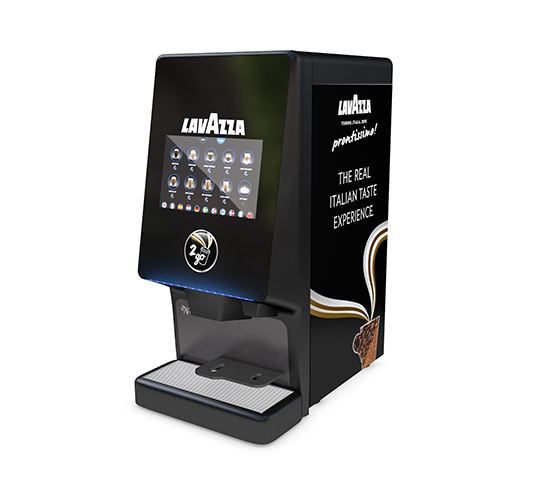 A popular choice for busy locations, the Picollo P’s user-friendly interface makes customising coffee quick and simple. Why Choose The Prontissimo Picollo P? 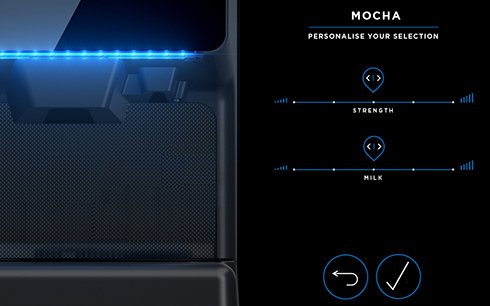 Customers can easily adjust the strength of their coffee and the amount of milk to tailor-make their perfect cup. 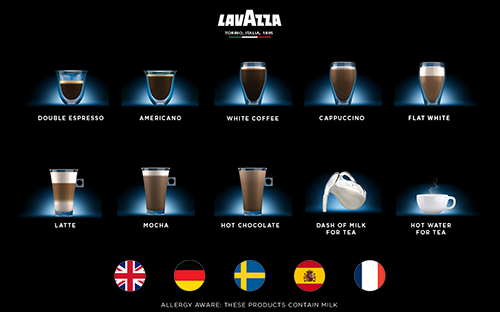 They can also view nutritional and allergen information on-screen. 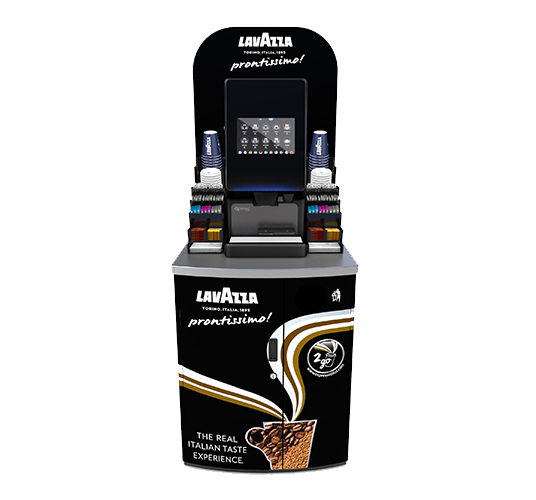 The Prontissimo Picollo P uses prime Lavazza microground coffee to make a range of exceptional quality espresso style hot drinks. 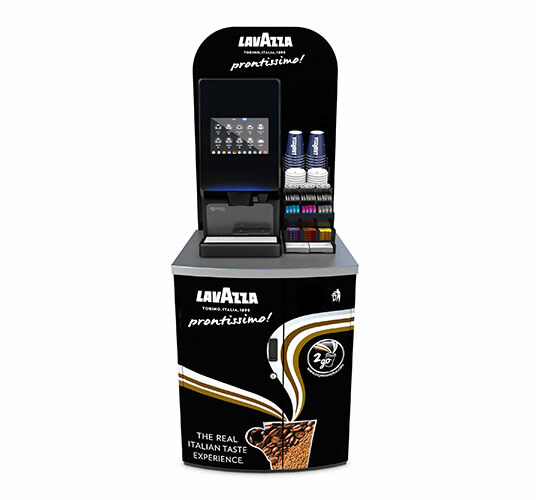 With leaf tea and hot chocolate available too, customers will enjoy a real coffee shop experience on-the-go. 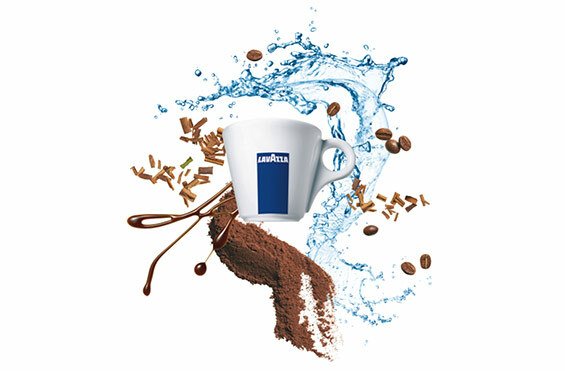 Lavazza’s microground coffee is a fuller-bodied instant blend that strikes the right balance of richness and acidity with delicate caramel top notes. 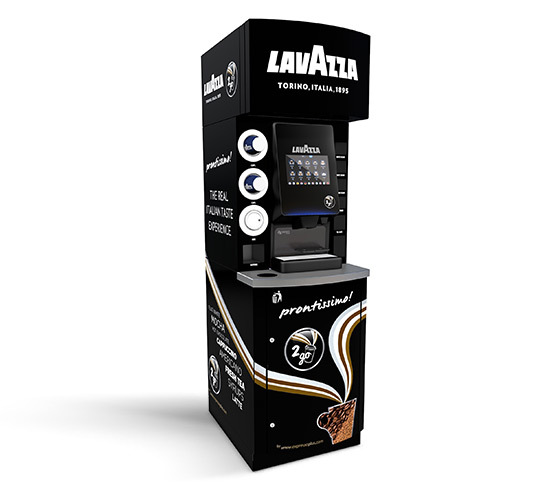 Made with 10% medium roasted Colombian Arabica beans, finely ground for a bold hit of flavour and lingering aroma. 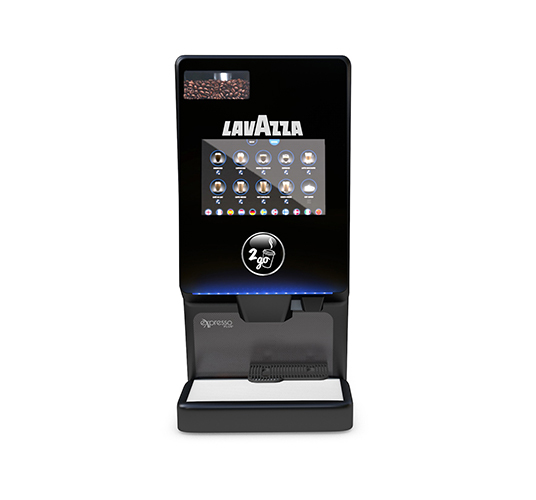 View the Picollo Prontissimo’s full product specifications.